The Lancelot’s innovative optical train improves on the power and very long throw capabilities of its smaller counterparts. 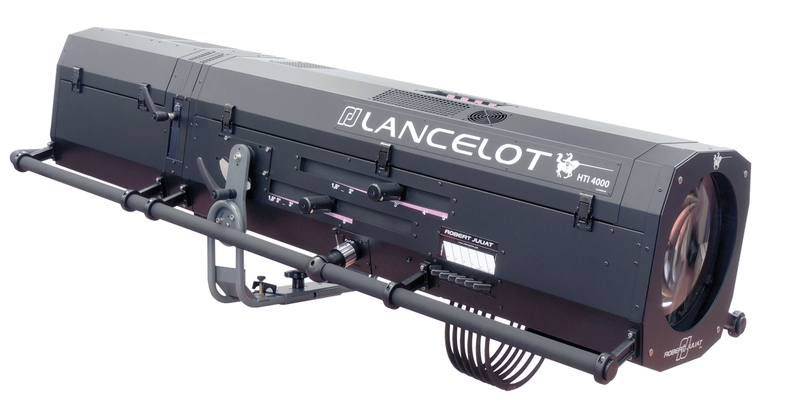 Lancelot is now the benchmark fixture for big events and concerts where its innovative technology, outstanding light output and extremely flat beam set new standards for both followspots and automated lighting products. Indeed, Lancelot is not just another very long-throw followspot. An unequalled range of modular accessories, manual or motorised, can be added to make it the most powerful long-throw effects projector ever built.